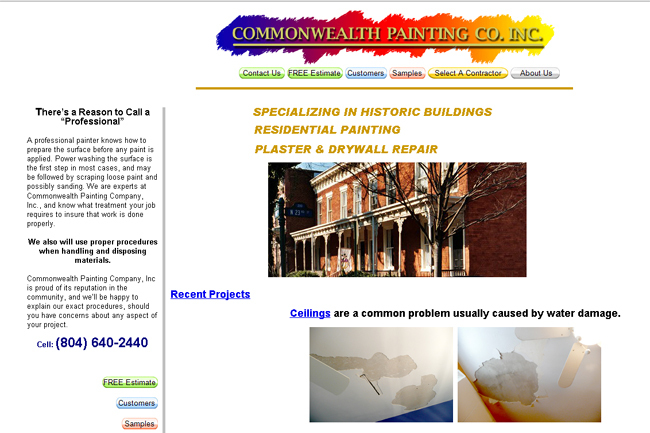 We offer our website customers diversity in design and flexibility in content. We design and maintain these sites with current information for optimization. 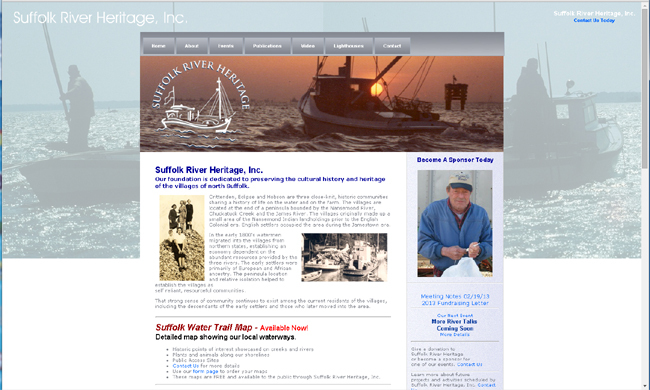 A Foundation dedicated to the preservation of the lifestyle and waterways of the lower James River. The website announces programing and sells their historic and cultural publications. 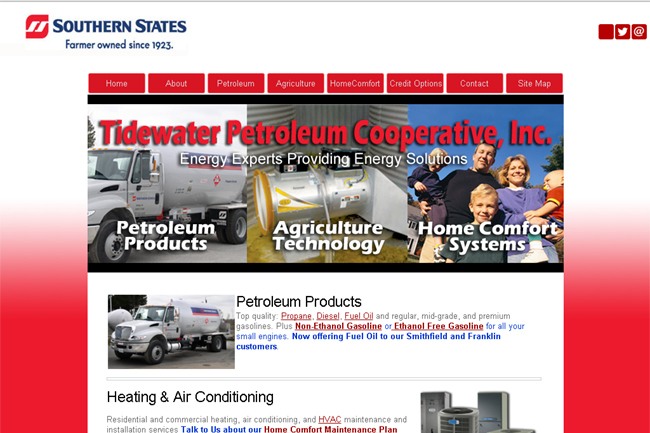 The Windsor, Virginia, Southern States Cooperative specializing in Petroleum Products, Agriculture Technology, and Home Comfort Systems. 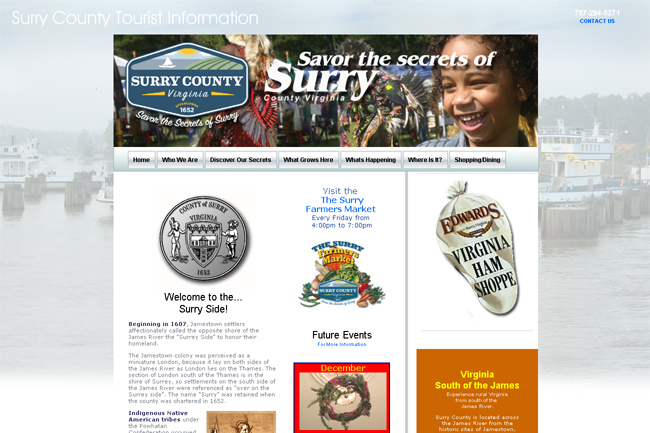 Surry County Virginia uses this site to identify the attractions and events in the area. It list current information and a locator map for easy reference. A website listing all the members of the Chamber and current events pertaining to Surry County, Virginia business. 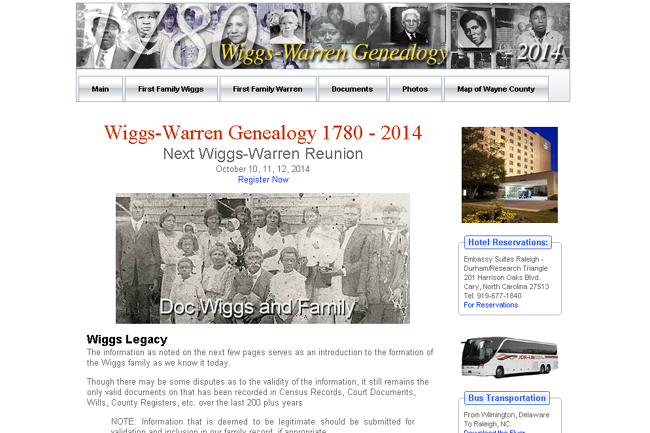 This website lists the family genealogy and included many past and current photos of the family. 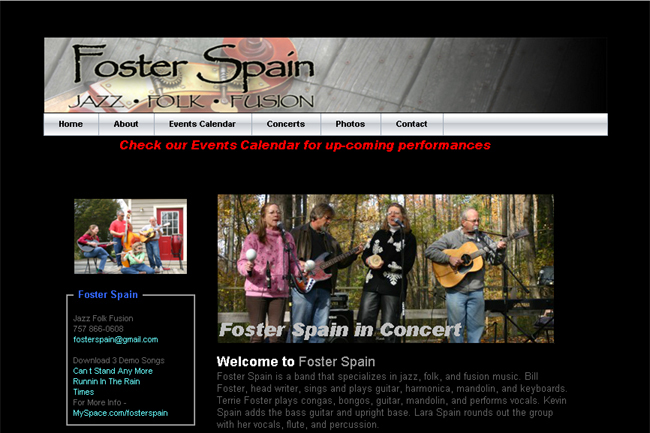 It includes information about the next reunion, booking information, and a registration form. 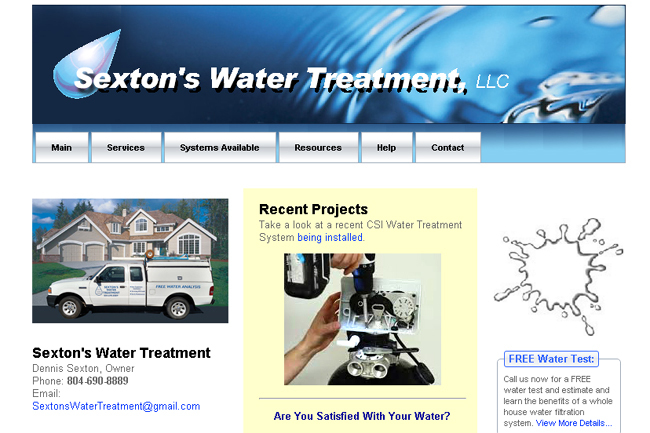 A website listing the services and products available for water softening and treatment. Their website lists the boarding agreement, facilities, and recent boarders at the stables. Their site offers a number of songs for listening and downloading. They offer photos of their work - before and after shots, show results of plastering, light carpentry, and painting inside and out.